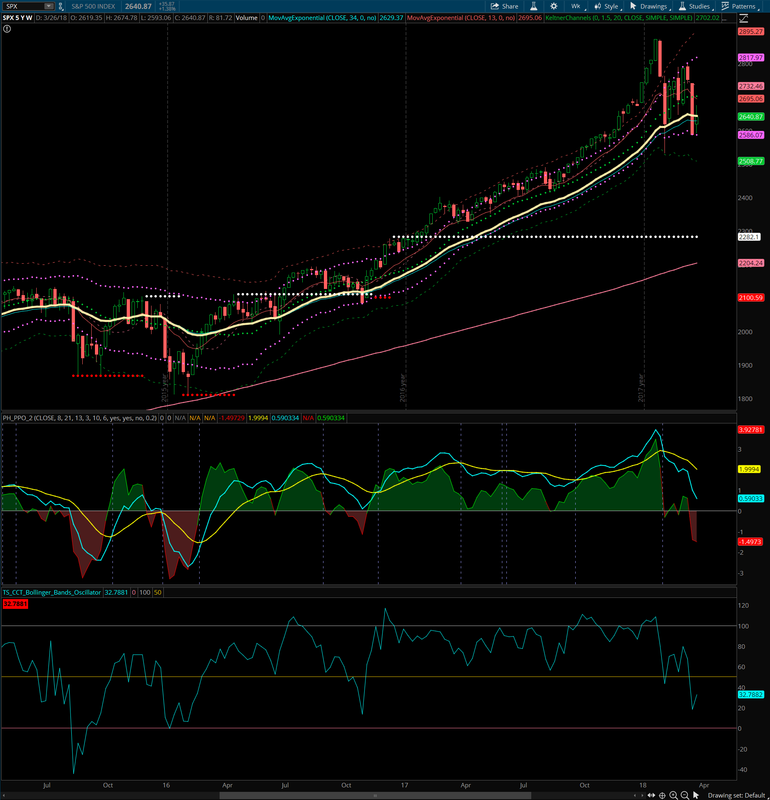 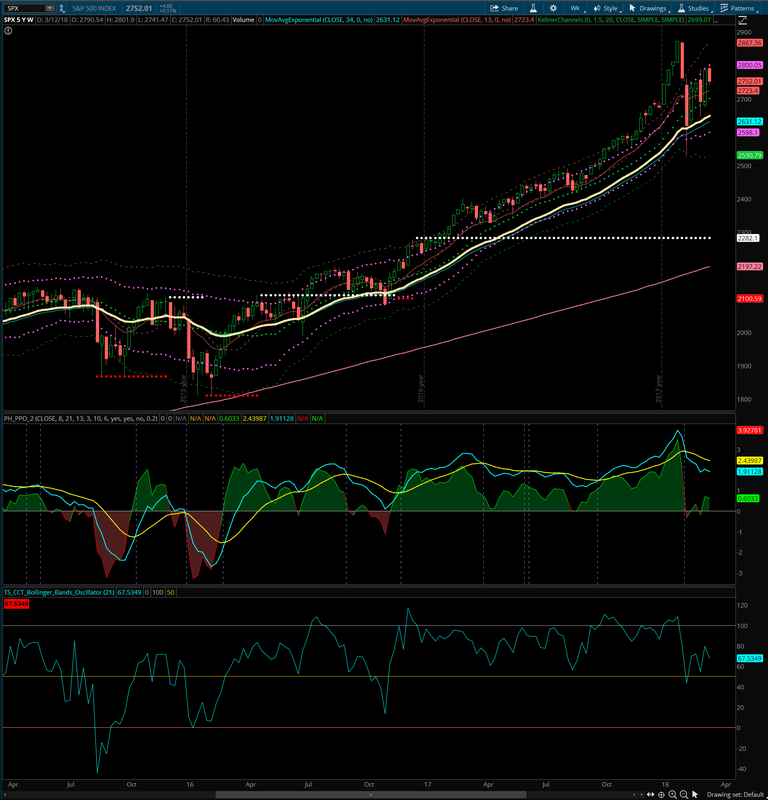 The S&P 500 monthly has closed above the upper Keltner line. 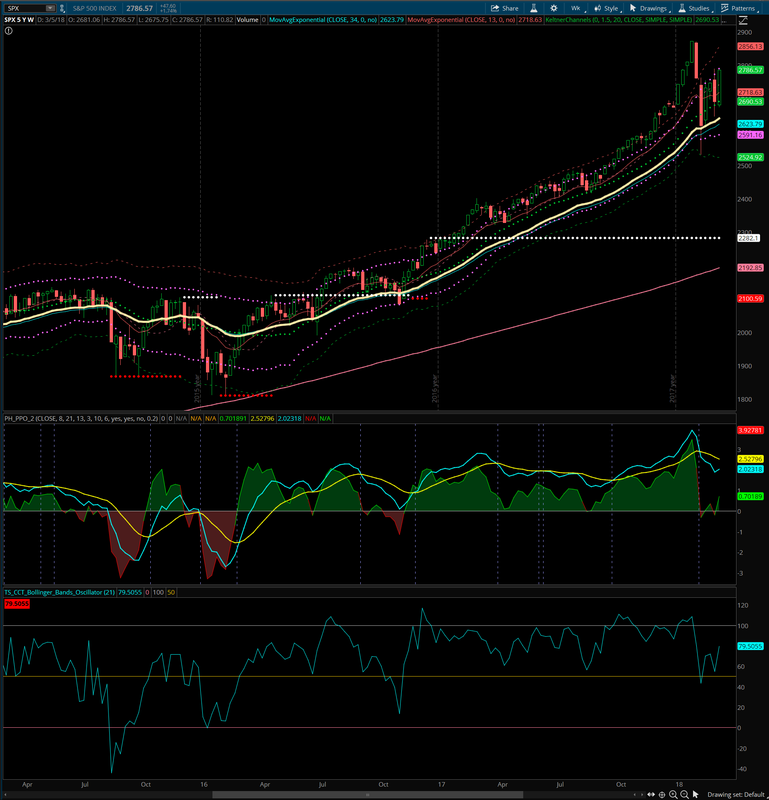 Support near the upper Keltner line held again this month. 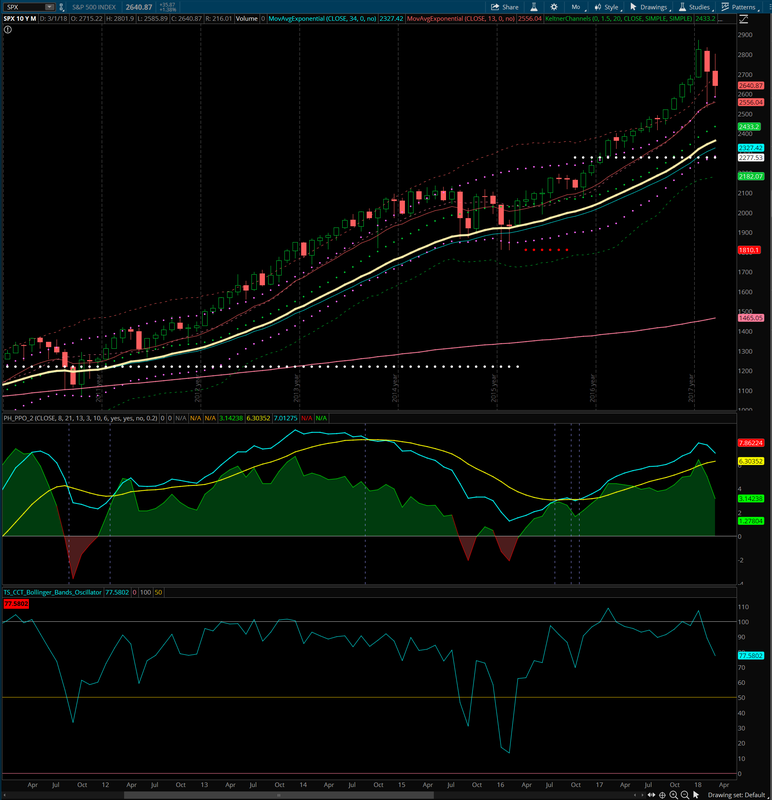 Despite a consecutive monthly close down, the monthly outlook is bullish. 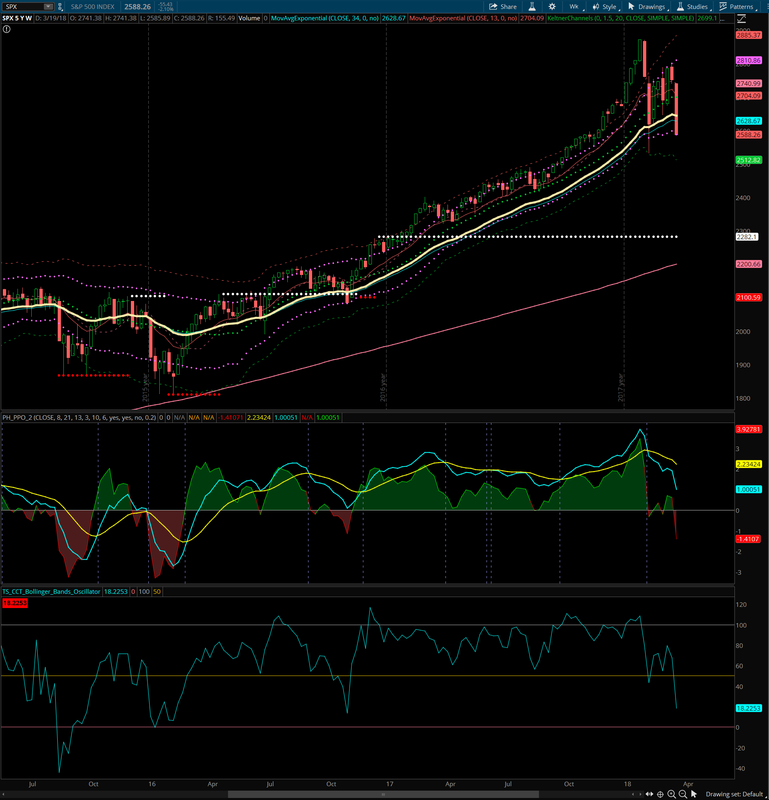 The S&P 500 weekly is showing a close below the lower Keltner channel.